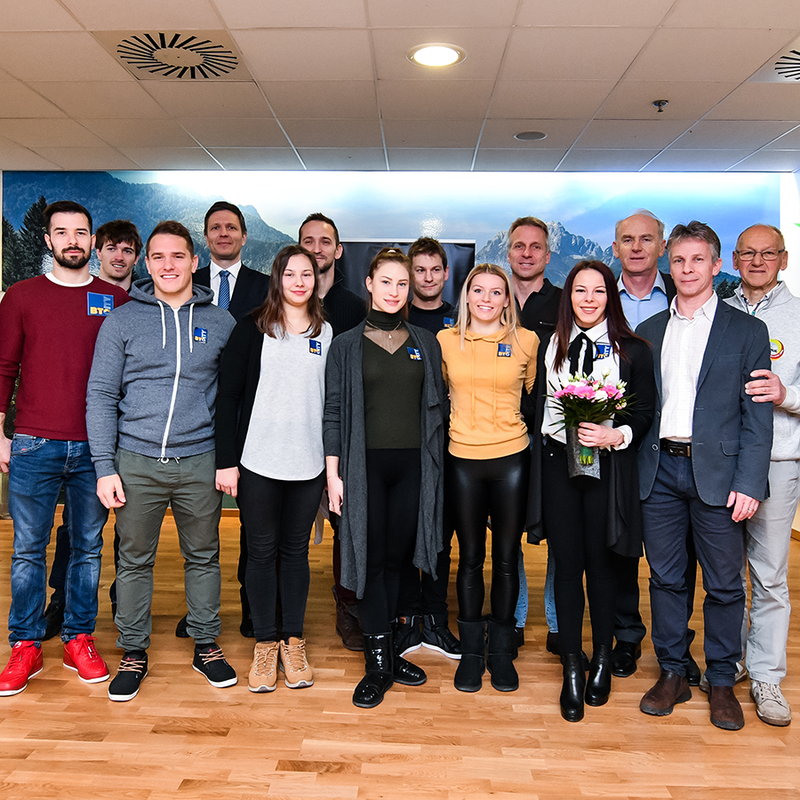 The BTC Company remains one of the key supporters of Slovenian gymnasts • BTC d.d. Today, the BTC Company signed annual sponsorship contracts with 11 Slovenian gymnasts and the rhythmic gymnastics club KRG Tim. By entering into sponsorship, the BTC Company provides perfect conditions for promising athletes to train and compete, and continues its long-term tradition of supporting Slovenian gymnastics. Among 11 athletes, sponsored by the BTC Company in 2018, there are 6 male and 5 female gymnasts. The BTC Company has already cooperated with the following male gymnasts: Sašo Bertoncelj, Rok Klavora, Alen Dimic, Žiga Šilc, Luka Kišek, and Luka Terbovšek (newly-established sponsorship). A new member to the sponsored team on the female side is Lucija Hribar. Besides her, the BTC Company also sponsors Teja Belak, Adela Šajn, Špela Kratochwill, and Tjaša Kysselef. The latter scored her first victory the past weekend at the World Cup competition in Australia. “The BTC Company is very proud of all Slovenian gymnasts, the young talents as well as those already well known. Every year, we show our trust and support by renewing individual sponsorship contracts and by supporting Slovenian gymnastics in general. We wish to actively contribute to providing optimal conditions for preparations, allowing gymnasts to focus on trainings and competitions. Speaking long term, we contribute to gymnasts achieving great results in competitions across the world and bringing home medals,” said Jože Mermal, President of the BTC Management Board. “Until now, I have spent a lot of time balancing sports, studies, and student jobs. The BTC Company’s support is of great help, since I will be able to focus on my training and competitions better during my studies,” said Luka Terbovšek, who last year in Cottbus qualified to the finals of a World Cup competition for the first time in his career. Besides signing individual sponsorship contracts, the BTC Company also started supporting the rhythmic gymnastics club KRG Tim. Since its establishment in 2014, the club has developed quickly and today offers recreational gymnastics and rhythmic gymnastics training sessions in 12 schools and kindergartens, as well as rhythmic gymnastics practice at the competitive level in the sports hall of Edvard Peperko Military Post and in the new Gymnastics Centre Ljubljana. 490 children are currently members of the club. Female gymnasts have been winning medals at numerous competitions at home and abroad, four of whom are members of the Slovenian national team (Ula Telban, Neža Podvratnik, Taja Frohlich, and Ivona Vukićevič). In the scope of its social responsibility, the BTC Company has supported numerous athletes and sports organisations who have achieved top results in competitions at the national and the international level. 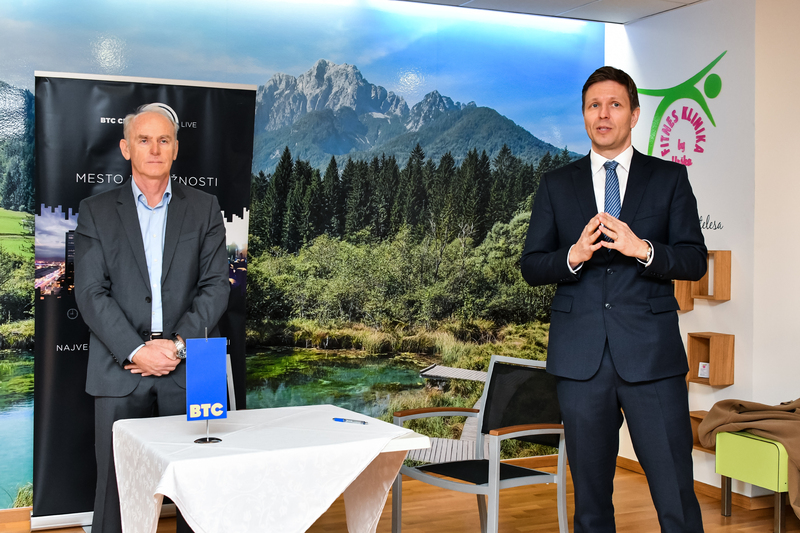 For several years, the BTC Company has been a sponsor of Slovenian Gymnastics Federation and has strived towards the opening of Gymnastics Centre Ljubljana. Besides individual support of top and promising Slovenian gymnasts, the BTC Company is also the general sponsor of FIG World Challenge Cup Slovenia, that will see its 14th edition this year between 31 May and 3 June in Koper. An even tighter connection of the Company to Slovenian gymnastics is foreseen by the naming of Damjan Kralj, M.Econ, member of the BTC, d. d., Management Board and Director of Sales and Marketing in the BTC Company, to the position of President of the Slovenian Gymnastics Federation. 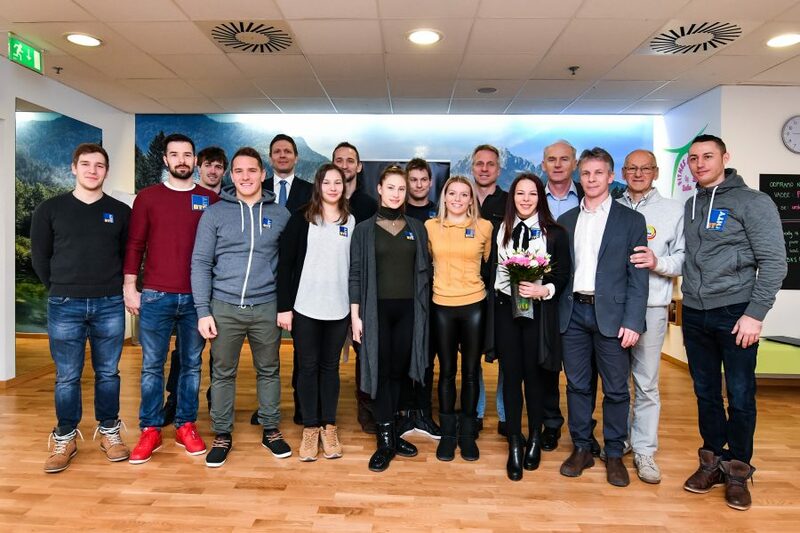 With its sponsorship, the BTC Company does not only support the development of Slovenian gymnastics, but also raises the awareness about the importance of an active lifestyle and contributes to the increase in sports culture in Slovenia.